This celebrated, unforgettable first novel (“A bright, big-hearted demonstration of female spirit.” The Guardian), shortlisted for the prestigious Bailey’s Prize and set in Nigeria, gives voice to both husband and wife as they tell the story of their marriageand the forces that threaten to tear it apart. Yejide and Akin have been married since they met and fell in love at university. Though many expected Akin to take several wives, he and Yejide have always agreed: polygamy is not for them. But four years into their marriageafter consulting fertility doctors and healers, trying strange teas and unlikely curesYejide is still not pregnant. She assumes she still has timeuntil her family arrives on her doorstep with a young woman they introduce as Akin’s second wife. Furious, shocked, and livid with jealousy, Yejide knows the only way to save her marriage is to get pregnant. Which, finally, she doesbut at a cost far greater than she could have dared to imagine. 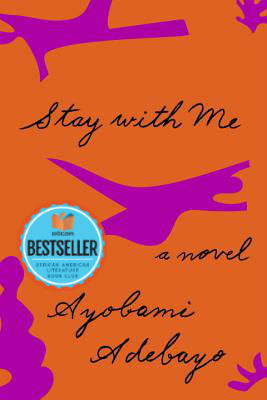 An electrifying novel of enormous emotional power, Stay With Me asks how much we can sacrifice for the sake of family. Tell us what do you think about Stay with Me: A novel.